I recorded today's episode The Sully Baseball Daily Podcast at my gym. 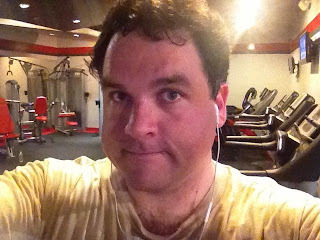 I talked about the Tigers bullpen, the return of Daniel Bard and some of my unorthodox behavior while exercising. Alex Gordon, Clay Buchholz, Gio Gonzalez and Gaby Sanchez owned baseball on April 25, 2013. To see the up to date tally of "Who Owns Baseball? ", click HERE. And Ouya, which is about the size of a Rubik's cube. t want to forget to buy your all star game tickets at Angels Stadium from an independent ticket broker that cares more about customer satisfaction than the bottom line. People are now looking to be able to connect to things like their vehicles through their smart phones, and now Buick has announced the release of their new e - Assist Fuel Effeciency smartphone games. for me. I am having a look forward in your next post, I'll try to get the cling of it! Sully--Keep it up at the gym--I kind of like "Sully Work-Out!"